On February 16, 2013, The Grand Deception executive producer, Steven Emerson, challenged CAIR-LA Executive Director Hussam Ayloush to an open debate to discuss the facts featured in this film. Above is the amount of time that this challenge has gone unanswered. This is the motto of the Muslim Brotherhood, which was founded in Egypt as a vehicle to establish a worldwide Islamic empire governed by shariah law. The Brotherhood has transformed Islam into a political agenda, and this mix of religion and politics has become known as Islamism. Since the Brotherhood’s founding in 1928, the Brotherhood has established a presence in more than 70 countries, and countless organizations worldwide have adopted its strategy and goals. Today, organizations created by or inspired by the Muslim Brotherhood enjoy considerable influence within the United States. The government, media, and law enforcement often turn to these organizations when they want the pulse of the American Muslim community. But critics- Muslim and non-Muslim alike- say that engaging these organizations poses a danger. According to these critics, although members of these organizations might appear to be moderate, they support an interpretation of Islam that is at odds with democracy and human rights as is commonly understood in the Western world. Engaging these organizations bestows an undeserved legitimacy upon them and makes it easier for them to advance their secretive agenda. The Grand Deception, a 70-minute film by the Investigative Project on Terrorism (IPT), traces the roots of Islamism inside the United States. This film examines the extent of Islamist influence within the United States and highlights the danger that Islamist influence poses for all Americans. This documentary is based extensively on primary source materials, including original Brotherhood documents and audio and video from IPT’s extensive archives. The Koran is difficult to understand because events are out of sequence and statements often contradictory. 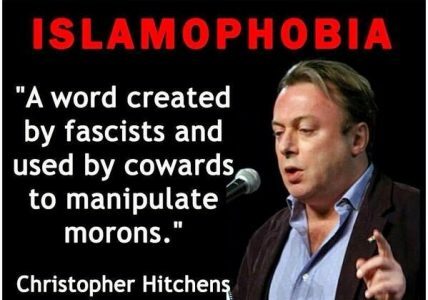 This can be remedied by reading the Koran within the context of Mohammed’s life (the official biography of Mohammed is called the Sira). Here one sees that there was an earlier, genuinely religious Koran written when Mohammed was in Mecca, and a later Koran, written in Medina, which was highly political. The existence of the two Korans accounts for the contradictions. CZ: Koránu je těžké porozumět, protože události v něm nejsou řazeny chronologicky a jednotlivá tvrzení si často odporují. Řešením je číst korán v kontextu Mohamedova života (Mohamedova oficiální biografie se nazývá síra). Tam vidíme, že existuje ranější, náboženský korán, který vznikl v době, kdy Mohamed působil v Mekce, a pozdější korán vzniknuvší v Medíně, který je značně politický. Ve skutečnosti tedy existují dva korány, a proto vznikají ony rozpory. Koranen er vanskelig å forstå fordi hendelser er tatt ut av sammenhengen og utsagn ofte er selvmotigende. Dette kan det rettes på ved å lese Koranen i sammenhengen med Muhammeds liv. Her ser vi at det var en tidlig, mer religiøs Koran, som var skrevet mens Muhammed var i Mekka, og en senere Koran, skrevet i Medina. Den sistnevnte var svært politisk og utgjør derfor selvmotsigelsene. Коран сложно понять, потому что события изложены в нем не по порядку, а высказывания зачастую противоречивы. Это можно исправить, читая Коран в контексте жизни Мухаммеда. Тогда можно увидеть, что существовал ранний, более религиозный Коран, написанный в период пребывания Мухаммеда в Мекке, и поздний Коран, написанный в Медине. Поздняя версия была очень политизирована, что объясняет противоречия в тексте. Der Koran ist schwierig zu verstehen, weil Ereignisse nicht in chronologischer Reihenfolge stattfinden und Aussagen sich oft widersprechen. dass es einen frühen, eher religiösen Koran gibt – geschrieben, als Mohammed in Mekka lebte – und einen späten Koran – geschrieben in Medina. Letzterer war höchst politisch und in diesem Hinblick Ursache für die Widersprüche im Koran. Koran jest trudny do zrozumienia, ponieważ opisane w nim wydarzenia są wyrwane z kontekstu, a zawarte w nim stwierdzenia bywają sprzeczne. Można temu zaradzić odczytując Koran w kontekście życia Mahometa (oficjalna biografia Mahometa to Sira). Okaże się wtedy, że istnieje wcześniejszy, prawdziwie religijny Koran spisany przez Mahometa w Mekce, oraz Koran późniejszy, napisany w Medynie, mający wysoce upolityczniony charakter. Istnienie dwóch Koranów odpowiada za pojawiające się sprzeczności. A Koránt nehéz megérteni, mert az események nincsenek időrendi sorrendben és az állítások gyakran ellentmondásosak. Erre az lehet a megoldás, ha a Koránt Mohamed életével összefüggésben vizsgáljuk. Így megfigyelhetjük, hogy volt egy korábbi, vallásosabb Korán, ami Mohamed Mekkai tartózkodása alatt íródott és egy későbbi Korán, amit Medinában írt. A későbbit teljesen átjárja a politika, és ez a magyarázat az ellentmondásokra. De Koran is moeilijk te begrijpen want de gebeurtenissen staan niet in de juiste volgorde en uitspraken zijn vaak tegenstrijdig. Dit kan worden verholpen door het lezen van de Koran in het kader van Mohammeds leven. Hier ziet men dat er sprake was van een eerdere, meer religieuze Koran geschreven toen Mohammed in Mekka was en een latere Koran geschreven in Medina. De latere was zeer politiek van aard en dus verantwoordelijk voor de tegenstrijdigheden. הקוראן קשה להבינה משום שהאירועים מחוץ לרצף וההצהרות ששם הם לעתים קרובות סותרות. זה ניתן לתיקון על ידי קריאת הקוראן בהקשר של חייו של מוחמד. כאן ניתן לראות, כי הקוראן המוקדם יותר, היותר דתי נכתב כאשר מוחמד היה במכה, ואילו הקוראן המאוחר יותר, היה מאוד פוליטי נכתב כשמוחמד היה במדינה, וכך מסבירים את הסתירות הרבות שהקוראן מכיל. 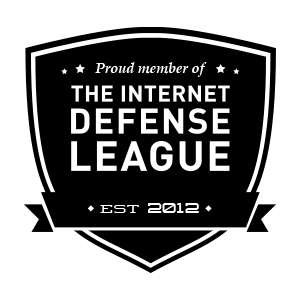 This blog is just going to be me rambling on. After insulting the memory of the thousands who lost their lives on 9/11, Ilhan Omar now plays the victim card. This is such a routine, overplayed tactic of Islamic supremacists that one wonders how it can be that many Westerners still haven’t caught on. This is Omar’s call for dhimmis to join her in accepting that Americans were wrong to be outraged over her abhorrent comments she made, and for the leaders of both parties to help her further undermine the security of the U.S. and the freedom of speech. 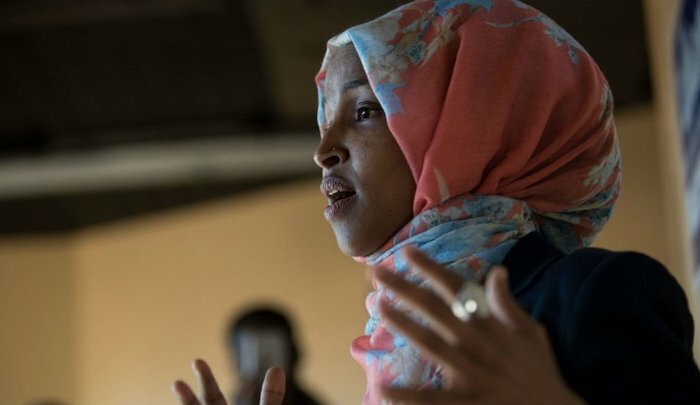 Rep. Ilhan Omar went on Twitter Wednesday to complain that outrage over her comments describing the Sept. 11 attacks as “some people did something” was creating an unsafe situation for her. In her posting, she linked to comments made by Texas Rep. Dan Crenshaw and Fox News’ Brian Kilmeade. 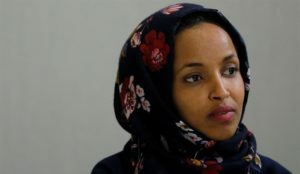 Crenshaw, a former Navy SEAL who lost an eye while fighting in Afghanistan, blasted Omar for her comments trivializing the terror attacks to a Muslim rights group. “As a Muslim American you should be more outraged because they sullied your religion,” Kilmeade continued. “In the name of religion they kill Americans and still do it on a daily basis.”…. Omar Hides 9/11 and Lies About CAIR. The persecution of Christians is widespread in many Muslim countries — as is anti-Semitism — so it is to be expected that the same hatred and intolerance would be transported to Western countries with Muslim migration. In time, more incidents of this kind will take place, as well as Muslim hate attacks on the LGBTQ community and incidents of violent misogyny, which is already evidenced by the honor killings, female genital mutilation (FGM) and forced marriage in Western countries. Muslim migrants also set fire to a homeless man in Berlin in 2017. The video shows two Arabic-speaking young men verbally harassing a homeless man at a Berlin u-bahn (metro) station with all three of the men coming from an Arabic background, according to police. It is suspected that the motive may have been related to the homeless 29-year-old being Christian, Berliner Zeitung reports. After physically attacking the victim, one of the men then drew a knife and stabbed him several times, leaving him with severe injuries to the buttocks, thigh, and arm, according to investigators. The newspaper claims that the incident is not the first in which a migrant-background Christian has been physically attacked by Arabic-speaking young men for displaying Christian symbols in public in the German capital. Recently, a 39-year-old had been beaten for wearing a necklace with a cross on it. In the district of Neukölln, a homosexual man had also been beaten for wearing a cross, claiming attackers had shouted anti-Christian and homophobic slurs at him during the incident. Last month’s uproar over Jeanine Pirro’s Fox News statements that questioned Rep. Ilhan Omar’s American allegiance—statements that got her fired from the “conservative” news network—are not going away. In her opinion segment, Pirro stated: “Think about it. Omar wears a hijab, which according to the Quran 33:59, tells women to cover so they won’t get molested. Is her adherence to this Islamic doctrine indicative of her adherence to Sharia law, which in itself is antithetical to the United States Constitution?” Needless to say, Pirro touched a delicate topic, and whenever a public figure seeks to question or point out the draconian tenets of Islam as dictated by the sharia, within which many Muslims in the West seek to auto-govern themselves, there are going to be repercussions. The concept of self-governance under sharia law by Muslims in Western society has been a topic of controversy since the turn of the millennium, especially in light of the World Trade Center attack on September 11, 2001. Proponents of sharia in the West, under which many Muslims seek to settle personal affairs—such as divorce, custody of children and inheritance—claim it is an exercise of their freedom of religion, a human right. Sharia literally means the “way” or “path.” Historically articulated, it is a shorthand term for an amorphous body of legal rulings, judgments and opinions, assembled over the course of many centuries after the Muslim Prophet Muhammad’s death. It is based on the Quran and a copious number of hadiths (the sayings and acts of Muhammad) developed by the fuqaha (jurists) whose opinions enjoy an almost absolute authority over the faithful. As a rule of law, it precludes the development of human reason as it is viewed as an expression of Allah’s inscrutable will. It is this same supremacy that renders sacred and permanent the concept of inequality between the Islamic community and the non-Islamic community, between the Muslim and the non-Muslim, and between man and woman. There are two essential weaknesses of sharia, due to which the Islamic social realm has been absorbed into the whims of the political one: its autonomy and its incompletion. As a codification of customs, it does not depend on any official body (state or clerical), and therefore there is no universal concordance on its legislation within the Islamic body politic. Sharia thus generates a zone parallel to a political or authoritative one that can be either circumvented or manipulated by people in authority. It may therefore be said to contain law, but at the same time, it is composed of elements and aspects that are not law per se since it excludes judgement. The problem of having sharia alongside a Western legal system is that this will eventually lead to a systematic breakdown of civil/constitutional and governmental authority and regulation over its citizens. We must remember sharia advocates, such as the American-Palestinian activist Linda Sarsour and the Council on American-Islamic Relations (CAIR), do not merely pursue concessions from government officials regarding sharia law, but rather their full and total capitulation, especially since they hold that everyone, regardless of religious affiliation falls within its jurisdiction. We have a duty to defend our way of life, which is based on equity. Hence, we should even feel cornered or isolated by the sharia activists or by the dictatorship of the mainstream media. Instead, let us promote our Judaic-Christian principles: the Commandments given to us by God through Moses to be observed as our Lord Jesus Christ taught us. N.B. This piece was originally published by the Clarion Project under the title Sharia Law: Is Its Goal To Subjugate Humanity? on November 1, 2018. Modifications were made in the first and last two paragraphs in order to concur with the current events. It is worthwhile to note that all but two of the top 17 states where Christians are most persecuted in the world are Muslim countries. While Jeremy Hunt is urging Britain to do more to help persecuted Christians, given the deplorable record of the UK government in kowtowing to Muslims, it is highly unlikely that anything will be done, beyond a false public impression created that the UK actually cares about persecuted Christians. 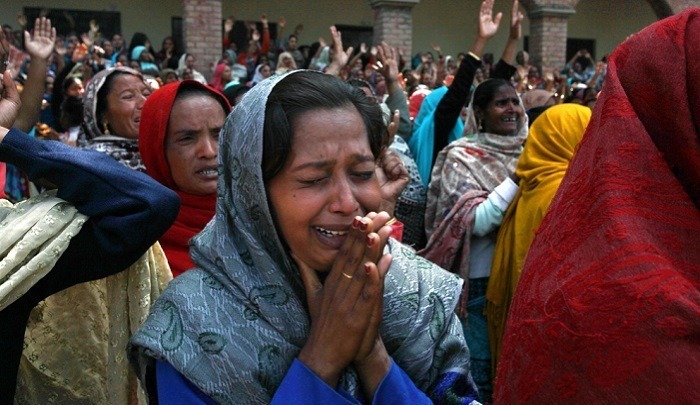 The British government barred Asia Bibi from entering the country, for fear that if she did, Muslims would riot. If the UK decides to help Christians, this would be something to be celebrated, but evidence suggests that nothing will be done. “The most striking statement [in the Open Doors report] is that the vast majority are in the very poorest countries: this is not, on the whole, a problem affecting people who live in affluent countries,” Hunt told lawmakers…..
Predictably, Hamas-linked CAIR is claiming that resistance to their propaganda initiative is itself a sign of “Islamophobia.” But in reality, this unsavory group has no business in the public (or private) schools. CAIR is an unindicted co-conspirator in a Hamas terror funding case — so named by the Justice Department. CAIR officials have repeatedly refused to denounce Hamas and Hizballah as terrorist groups. Several former CAIR officials have been convicted of various crimes related to jihad terror. CAIR’s cofounder and longtime Board chairman (Omar Ahmad), as well as its chief spokesman (Ibrahim Hooper), have made Islamic supremacist statements about how Islamic law should be imposed in the U.S. (Ahmad denies this, but the original reporter stands by her story.) CAIR chapters frequently distribute pamphlets telling Muslims not to cooperate with law enforcement. CAIR has opposed virtually every anti-terror measure that has been proposed or implemented and has been declared a terror organization by the United Arab Emirates. CAIR’s Hussam Ayloush in 2017 called for the overthrow of the U.S. government. CAIR’s national outreach manager is an open supporter of Hamas. The San Diego Unified School District settled in late March with a group of parents who sued over the district’s possible partnership with the Council on American–Islamic Relations, a national advocacy organization, on an anti-Islamophobic bullying program in schools. The agreement specifies that guest speakers from religious organizations are not permitted to present to students on religious topics. Educators can’t show a preference for one religious viewpoint over another. And religions must be taught in the context of world history, with the “time and attention spent discussing each religion being proportionate to its impact on history and human development,” the agreement says. But just how that’s measured, and who does the measuring, isn’t clear. The group of parents who sued, including members of the San Diego Asian Americans For Equality Foundation, say the settlement is a victory. “Any speaker from CAIR or from any other religious organization is not supposed to talk about the religion topic to the students. And that’s an additional protection, from my point of view,” said foundation board member Frank Xu. The district’s attorney, Andra M. Greene, says teachers can still talk specifically about Islamophobic bullying, but they will also talk about all kinds of bullying. She says she’d hardly call this settlement a victory for the parents who sued because the district was doing everything in the agreement already, and nothing’s really changing.